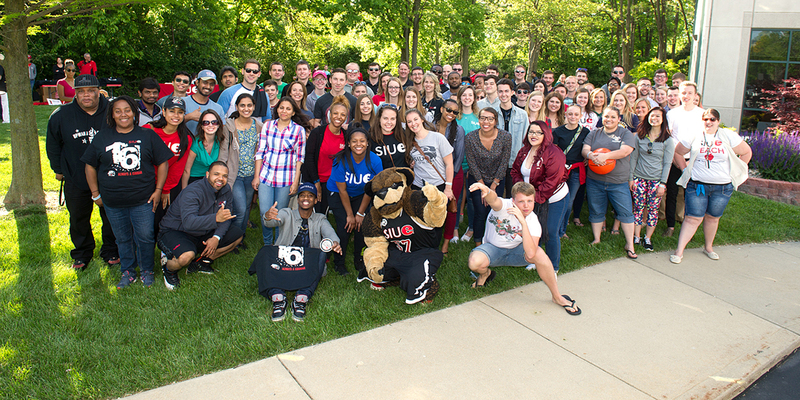 SIUE and the SIUE Alumni Association offer several benefits to its alumni. Alumni Card: The SIUE alumni card is the key to several of the benefits offered on campus. The alumni card is available to those who have graduated from SIUE. To request your alumni card, submit this web form. NEW SIUE Career Community: Alumni have access to career lectures, news, tools, and discussions that give confidence, knowledge, and skills needed for career advancement. Alumni Legacy Enhancement Program: The Alumni Legacy Enhancement Program offers in-state undergraduate tuition rates to immediate family members of SIUE Alumni who live out-of-state. Campus Parking: Free parking is available in designated spots in the Birger Hall parking lot. Visit the Alumni Office for a free hangtag between 8 a.m.-5 p.m. Monday-Friday. Visitors may also park in Lot B for a small fee. Career Development Center: Access to the Cougar Jobline database is available at a reduced rate for alumni. Career counseling sessions are also available for a fee. SIUE Athletic Events: Alumni receive discounted tickets to Cougar Athletic Events with the proof of their alumni card. Please check the Cougar Athletics web site for the most current discounts on single events. Student Fitness Center: Alumni may purchase yearly memberships to the SIUE Student Fitness Center. Lovejoy Library: Your alumni card serves as your library card (except for inter-library loans and offsite or remote access to databases). SIUE Credit Union: Alumni are eligible for a 0.5% discount on their first car loan after graduation (on approved loans only, if combined with other discounts, limits apply, see Credit Union for details). Other discounts may be available. Ask for the alumni discount at application.